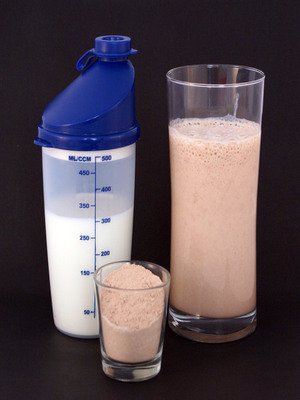 TAMPA, Fla. (Legal Newsline) – An Orange County man is suing a sports nutrition company, claiming it misleads consumers about its products. Matthew Tiger, on behalf of himself and those similarly situated, has filed a class action lawsuit on Oct. 7 in the U.S. District Court for the Middle District of Florida, Tampa Division against Dynamic Sports Nutritional LLC and PBB Trademark Holdings LLC, citing violations of the Florida Deceptive and Unfair Trade Practices Act and unfair enrichment. According to the complaint, Tiger purchased, via the defendants’ website, Tren 75 and the “Summer Stack” of Test-600x, Clen, Var-10, Winn-50, and Deca 200, in June. Tiger claims the defendants allegedly represented that its products, most notably Tren 75, were the same or similar to U.S. Drug Enforcement Administration Schedule III anabolic steroids. The complaint states that Tiger would not have purchased products if he had known about their lack of results. He alleges that the defendants willingly designed their packaging and advertises their products as legal steroids, which is allegedly not what the products are. Tiger is demanding a trial by jury and is suing for restitution, court costs and attorney fees, enjoining the defendants from practicing and continuing unlawful acts, ordering the defendants to disgorge any ill-gotten benefits received from plaintiff and member of the class as a result of their deception, and any other rewards deemed just by the court. Tiger is represented by Shyamie Dixit of the Dixit Law Firm, P.A., in Tampa, Fla.
Want to get notified whenever we write about Dixit Law Firm ? Sign-up Next time we write about Dixit Law Firm, we'll email you a link to the story. You may edit your settings or unsubscribe at any time.